"There is a potency and pungency to this absorbing documentary." "Remember Baghdad is a highly recommended documentary film...Stories of persecution, manipulation and barbaric savagery go hand in hand with times of prosperity, harmony and brotherhood. 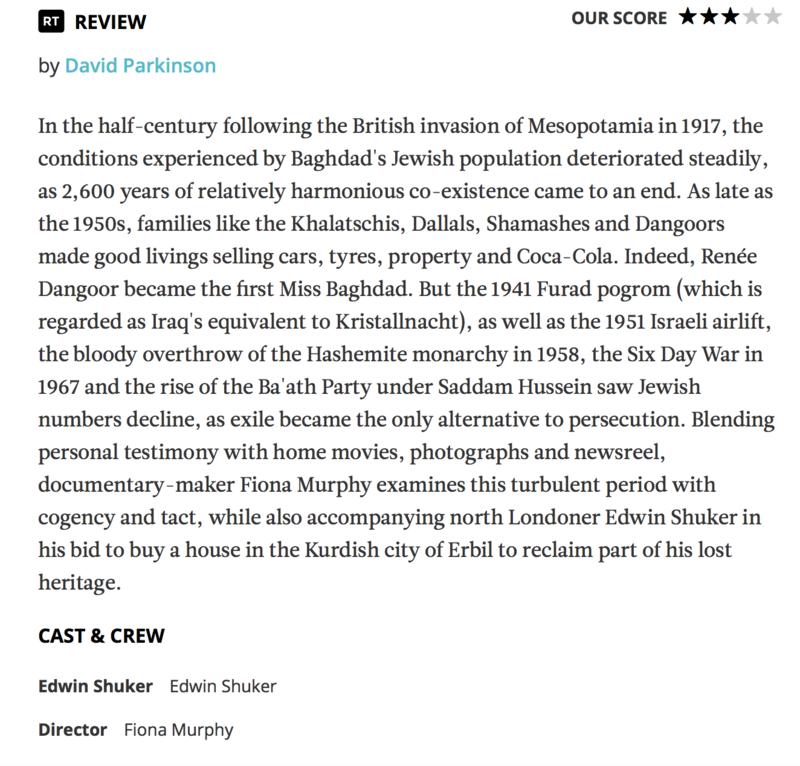 Focusing on the human interest...Murphy makes a potentially dry subject very engaging"
"Murphy’s insightful documentary traces the history of Jews in Iraq". "well crafted, showing a slice of history that has long been forgotten"
Edward Stourton interviews David Dangoor. "A Jewish refugee from Iraq has done the unthinkable — gone back and bought a house there"